The International Olympic Committee (IOC) said on Tuesday it will “explore the legal options” regarding a ban of all Russian athletes for the Rio Olympics this summer. 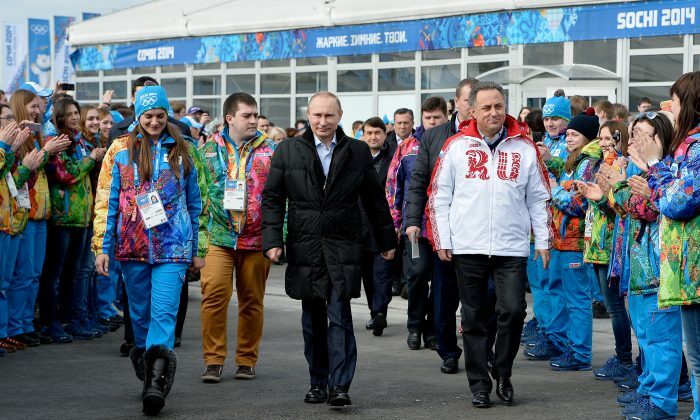 The IOC organized an emergency meeting after the the World Anti-Doping Agency’s (WADA) recommended that Russia be banned from all international competitions, including the 2016 Rio Olympics and Paralympics. The call for a ban was made after WADA received the 103-page McLaren report, which confirmed state-sponsored doping in Russia. “The findings of the report show a shocking and unprecedented attack on the integrity of sports and on the Olympic Games,” IOC President Thomas Bach said in a statement. “Therefore, the IOC will not hesitate to take the toughest sanctions available against any individual or organization implicated,” he added. The organization also called for a freeze on major international competitions hosted in Russia. The McLaren report was conducted after the director of Russia’s anti-doping lab, Grigory Rodchenkov, said dozens of Russian athletes used a cocktail of drugs to win gold medals at the 2014 Winter Olympics in Sochi, reported The New York Times on May 12. WADA appointed Canadian law professor Richard H. McLaren to investigate the matter, and concluded that Rodchenkov “has been truthful” in his allegations. The Moscow lab operated to protect doped Russian athletes, the report says, by using a system called the Disappearing Positive Methodology. Russian Deputy Minister of Sport Yuri Nagorny, who was appointed in 2010, was critical to the smooth running of the method, the investigation found. He was alerted of every positive analytical finding in the Moscow laboratory from 2011 onwards. “The athlete benefited from the cover up determined and directed by the Deputy Minister of Sport and could continue to compete dirty,” says the report. Between 2012 to 2015, the Disappearing Positive Methodology was used on 643 positive samples, the investigation found. Russian athletes from the vast majority of summer and winter Olympic sports benefited from the system. Rodchenkov said he created a three-drug cocktail of illegal steroid substances—metenolone, trenbolone, and oxandrolone—that he mixed with liquor and gave to dozens of Russian competitors. During the 2012 London Olympics many of Russia’s top athletes were using the cocktails, Rodchenkov said. The cocktails were distributed to various sport federations by Irina Rodionova, the deputy director of the Center of Sports Preparation of National Teams of Russia (CSP). The Sochi lab operated a unique sample swapping method to avoid Russian athletes from being caught doping during the Olympics, the investigation found. The McLaren report says the Russian Ministry of Sport directed, controlled, and oversaw the manipulation of athlete’s analytical results or sample swapping, with the help of the Russian Federal Security Service, CSP, and both Moscow and Sochi labs. Sample bottles stored in the Moscow laboratory from Sept. 10 to Dec. 10, 2014, were tampered with by having their urine switched with clean urine. DNA analysis also confirmed three samples where the DNA did not match that of the athlete, the report says.